While women are all QUEENS already, this special "Queen For A Day" event has been created to celebrate those women in Hampton Roads who may currently only wear their crowns on the inside. It’s time to BRING THEM TO THE OUTSIDE AS WELL! We all know those women who inspire, persevere, serve and encourage us – not only with their stories of survival and heroism but their abilities to heal, overcome, protect and support others! Many of these amazing women “hide in plain sight” every day. They may not realize how much they inspire those around them or how important they are. That is why we will be celebrating and “CROWNING” 4 women who have been nominated and selected as those women who are exemplary examples of QUEENS! Let's make this Mother's Day extra special by crowning 4 amazing Hampton Road's women with a Makeover and a Glamour Photoshoot fit for a queen! "As a little girl I was encouraged to read, and of course, given fairy tales to inspire my creative. It didn't take me long to realize they all had one common theme...the hero was typically a white knight in a cape and the victim was sure to be female. Over the course of my life, I have been blessed to experience real life heroes. My first experience was at CHKD where my newborn faced multiple heart surgeries for survival. It was my first child and I wasn't even 20 so you can only imagine the fear. To help me a long the way and caring for my son like he was her own, was a nurse named Robin. She swapped patients to be with my son and came in on her days off to distract my fears during complicated procedures. Years later she would meet us in the lobby during well checks just to see how he was doing. She never saw herself as a hero but to me, she was more than just a hero but my angel! Inspiration Woman Category, First Responder Category, Domestic Abuse Survivor Category and Military Category. Nothing says "Bravery"quite like our thin blue line family and those who dedicate their life to running into burning buildings while the rest of us run out of them. This category is dedicated to those who are currently, previously or married to a first responder. 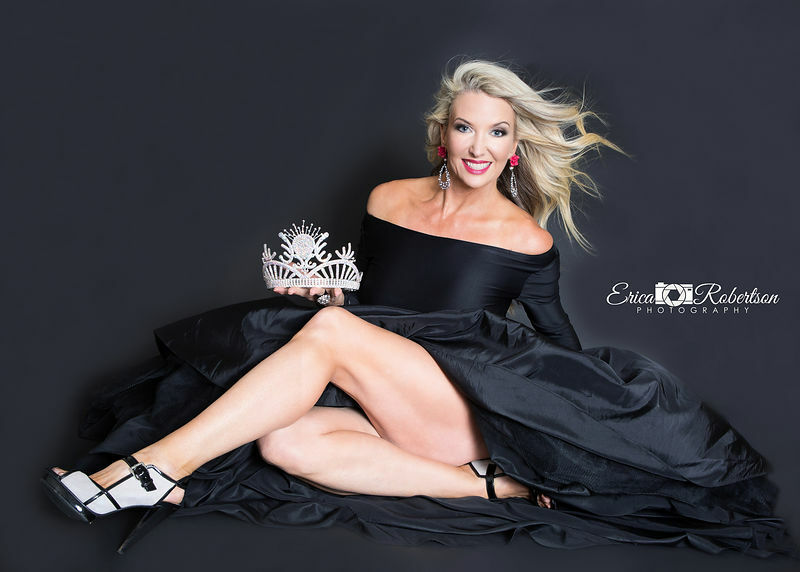 29% of all women are domestic abuse survivors including our very own Mrs. Universe, Mrs. Deanna Emborski. This category is dedicated to those women who have lived and survived a domestic abuse situation and willing to tell their story to inspire others. Nothing says "American Hero" quite like our military members who dedicate their life to protecting us from the unimaginable. This category is dedicated to those who are actively serving in any of the branches of the military, VET or family member. Want to nominate yourself or someone special? Click on any image to go to our nomination form and submit. Maybe you would like to donate items to the winners? Please fill out the form below and submit. We will contact you with the step by step process on how to proceed. Selection Committee will meet on April 3rd at 6pm to vote and select winners. Winners will be selected per category and awarded 1st, 2nd and 3rd place per category. Winners must be available for makeover date of Saturday, May 11th from 9am until 8pm. If winner is not available on that date, next placement in that category will be awarded. Winners will have to sign a model release. By participating in the contest, winners must be willing to tell their stories on camera and have the makeover process filmed as well as images released to inspire others. Winners will be announced on Friday, April 5th at 4pm on social media through Erica Robertson Photography & ChewChew Rocket Styles publicly on Facebook, Twitter and by email directly to the winners. Please help us by nominating and sharing this campaign so we can inspire others and spread the word! So what does "Queen For A Day" include? It all starts out with a morning of pampering from the moment they arrive, being greeted with mimosas and chocolate covered strawberries all while having a therapeutic facial treatment prepared by a master esthetician with 30 years in the business. Next, they will learn what clothing fits their body type best and be styled from head to toe by a surprise guest and celebrity. They will have access to all clothing & accessories from Erica Robertson Photography's studio as well as clothing & accessories donated from our community of supporters. Next is the true transformation process including hair & makeup by the amazing Brittany Chewning. Then each recipient will work one-on-one with Celebrity Photographer, Erica Robertson in the studio for a fun and interactive photoshoot including crazy props and custom backdrops. Erica is known for turning every day individuals into models and having a special gift of making the most shy individual come alive in front of the camera. Each recipient will leave the shoot with over $500 in photography for free including this once in a lifetime shoot and a canvas of their favorite print! Finally we end the day with a public reveal of their new look! They can invite their friends and family to come have dinner and dance the night away! Hair & Makeup by Brittany Chewning aka: "Chewy" of Chewchew Rocket Styles! We are looking for partners in the following areas to make this day extra special! *Jewelry to be donated to the winners! A special Thank You for all those who have already been willing to donate items including items to the gift baskets that are given to each recipient. If you have something you would like to donate, please contact us by filling out the below form.